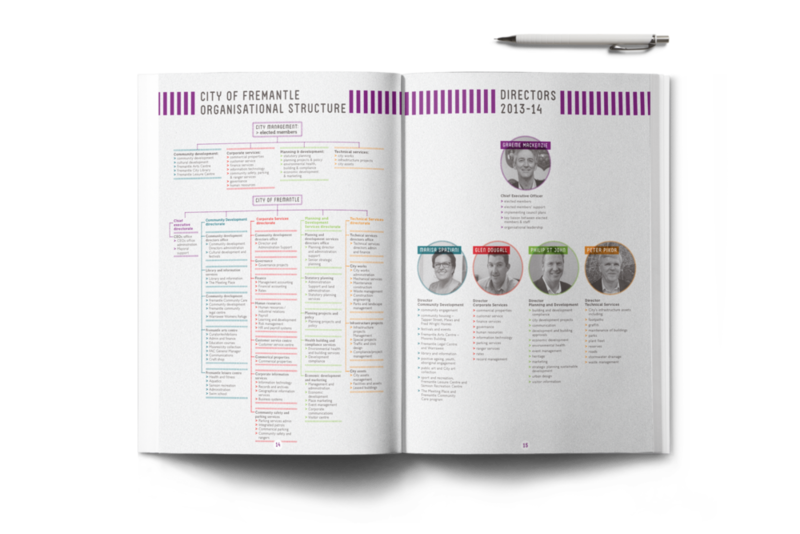 Design of full annual report for local council, the City of Fremantle, Western Australia. 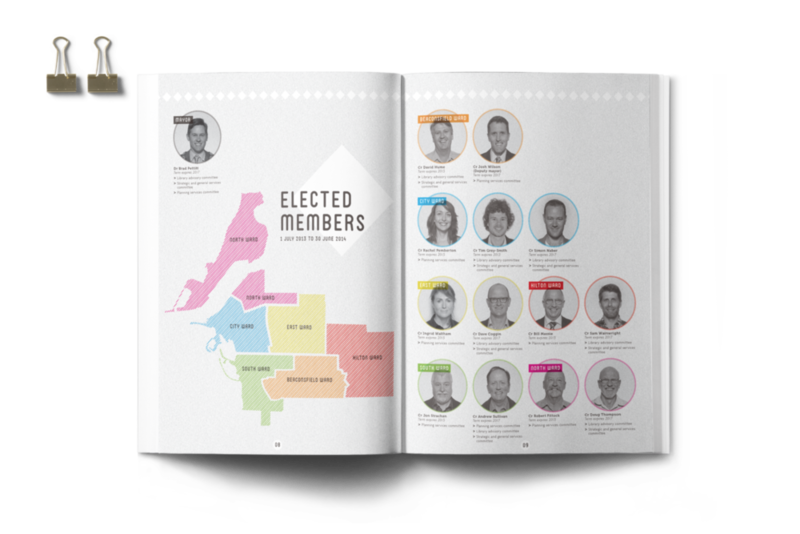 Being a very forward-thinking local council with a population of alternatively-minded residents, the Annual Report needed to visually represent this by not looking like your average local government document. There was a lot of text and factual information to include in the report, but it needed to be represented in an engaging, quirky way so as to appeal to the councillors and residents alike. City of Fremantle engaged ROAM Creative on a 2-year contract to be the graphic design agency for all of the design projects required during this time, with the Annual Report being the culmination of what became a fantastic 2-year working relationship. With Fremantle being a famous port, ROAM decided to play on the strong geometric shapes from maritime flags, and used these as a visual theme throughout the report document. This, combined with the used of bright, almost-neon colours, textured paper stocks, and unique typography, came together to create a visually engaging, non-corporate, 80-page book, printed locally on 100% recycled paper using vegetable-based inks.